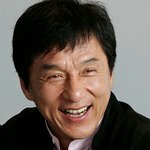 Jackie Chan was in Korea last week to take part in in a Gift of Hope mission to benefit orphans and children from broken families. The 55-year-old action star was in Tongyeong, South Gyeongsang Province, in South Korea on May 21 to bring hope and friendship to children from single-parent homes and orphanages. He spent the day playing with over one hundred children. He returned the following day to join the children on a cable car ride to enjoy the views from Mt. Mireuksan and to present them with new bicycles. He also participated in a beach clean-up initiative. The visit follows Chan’s 2005 trip to Tongyeong during his publicity tour for The Myth. During that visit, he donated thousands of dollars worth of computer equipment and warm clothing to needy children and served as Goodwill Ambassador to the city.